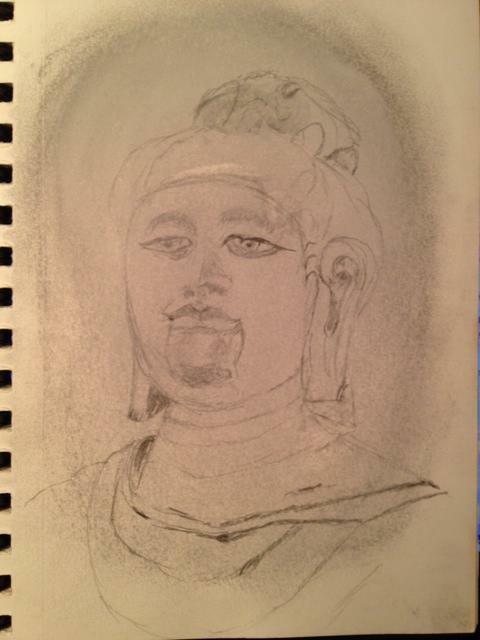 A graphite drawing on a grey pastel ground in a 5.5″ x 8.5″ sketchbook of the collosal sculpture of the Buddha at the World cultural Heritage Site, The Longmen Grottoes near Luoyang, Henan, China. This drawing was done on site on March 13. 2012. It’s not perfect but captures the feeling of being there more than a photo would.